There is $14 billion worth of Bitcoins in circulation as of the date of this writing. This is the highest level in over three years, as more people than ever before are using Bitcoin to purchase things online. This amounts to a double in price over this year alone. What’s the secret behind this massive jump in Bitcoin circulation? Online casinos are one of the top culprits. 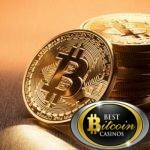 The cryptocurrency fits in perfectly with the online casinos world by giving gamblers the ability to bet in small increments while at the same time maintaining a massive amount of privacy during the gambling process. Anyone familiar with the currency knows that it does the most amount of its job in China. People are crazy about Bitcoin there and use it to buy a variety of goods and services online. The secret behind the success of Bitcoin is that it’s possible to spend money without going through a central body. You can get Bitcoin just about anywhere in the world quickly and easily without having to deal with banks or credit agencies. This is appealing to businesses and citizens in China and continues to make it a major player in the online financial world. The currency is making a comeback in a big way, although it is still off its major peak in 2014. Bitcoin went for well over $1000 then for a single Bitcoin. While there isn’t any big indications that Bitcoin is anywhere near reaching that mark again soon, it is still holding its old in the world of online currency and has survived a massive amount of criticism and bad press over the years, as it got linked to unfortunate online enterprises. As it goes into this next era, it’s making a name for itself as a legitimate online currency that can be used for a number of important businesses online. CryptoCompare is a company that keeps up with today’s cryptocurrencies and tracks how well they’re doing online. The founder of Cryptocurrency says that he believes the secret behind the recent success of Bitcoin is that it’s being helped by more demonitisation in India. Politics is also behind the increases Bitcoin is seeing, as more and more people face an uncertain future in politically volatile locations. As more and more people turn away from central authority currency, more people turn to currencies like Bitcoin that enable people to have more control over their money and more privacy during their online activities. It’s a big win for a lot of different people with this terrific news for the long-time cryptocurrency. The founder of CryptoCompare feels like Bitcoin is an area of security for those who want a more stable future in online trading. The currency continues to make leaps and bounds and get back to its peak success. 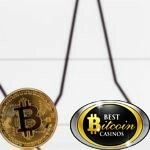 While that may be a ways off, online casinos are certainly welcoming Bitcoin gambling with open arms, and this means a stable future for the currency as well. More and more outlets are allowing people to use Bitcoin to spend money and it is looking like a bright future for the currency.